This image was created with a beatiful backdrop from Peek-A-Boutique studio props and fresh flowers including roses, daisies, greens and mums. 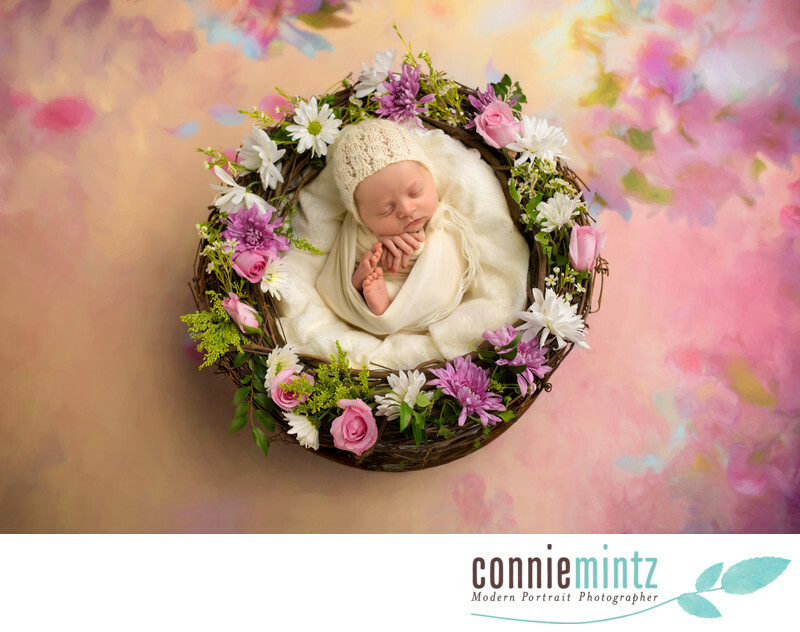 With spring around the corner, we embraced spring in all it's glory by putting an 11 day old baby in the nest of flowers at Connie Mintz Photography Studio in Vancouver WA. I just love the feeling of spring in the air! I hope the cook colors of pink and purple mixed with the warm tones of peach, make you happy! Keywords: fresh flowers (9), girly (9), lilac (9), newborn (123). 1/160; f/2.8; ISO 80; 35.0 mm.